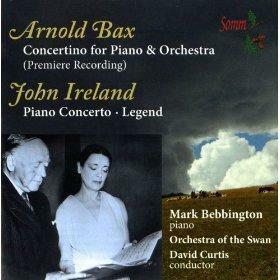 This is the premiere recording of Bax’s Concertino, recorded April 2009 in Birmingham Town Hall. The work was never completed and the score lay untouched until 2006 when Graham Parlett, a composer and Bax specialist, started work on a perfoming edition. There has been coverage in the music press.